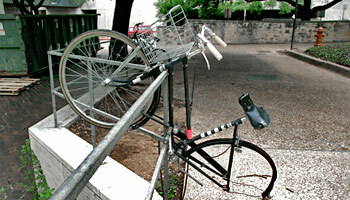 If your bike is missing, email bicycle@utexas.edu with last known location, detailed description, whether it was secured with a cable lock or U-lock, and permit # if available. We will respond to you as soon as possible. If it has been stolen, PTS will give you your serial number to report to UTPD at 471-4441, if stolen on campus, or to APD at 311, if stolen off campus.